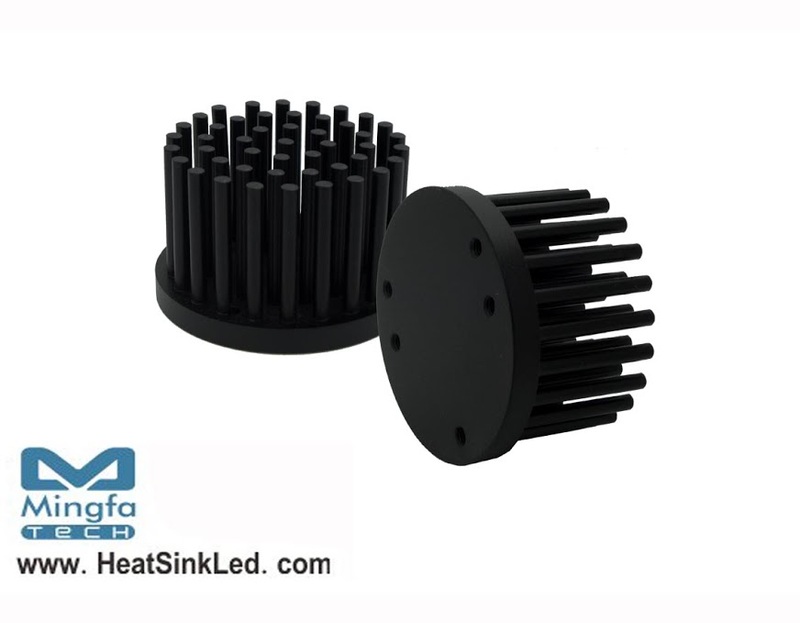 * The GooLED-BRI-4830 Bridgelux Pin Fin LED Heat Sinks are specifically designed for luminaires using the Bridgelux LED engines. * For spotlight and downlight designs from 350 to 1100 lumen. * Thermal resistance range Rth 5.7°C/W. * Modular design with mounting holes foreseen for direct mounting of Bridelux ES Star,Array V6,V8,V10 and Vero 10 Array LED engines. * Diameter 48mm - standard height 30mm Other heights on request.